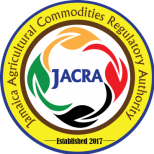 The grant of this licence is subject to the execution of a user Licence Agreement with Coffee Marks limited, a wholly owned subsidiary of the Jamaica Agricultural Commodities Regulatory Authority. such other document(s) that may be required by the Authority. In relation to the renewal of an application, the completed form shall be accompanied by a list of the names and qualifications of key personnel of the business (including the CEO/Manager and the Marketing Manager). A response from the Authority shall be sent to each applicant within seven (7) days of receipt of an application. An incomplete application shall not be logged and/or processed. This application form must be completed in full in order to avoid delays in its processing. Where attached sheets and other technical documents are utilized in lieu of the space provided, indicate appropriate cross-references. Paragraphs that are not applicable to your application should be marked as “N/A”.